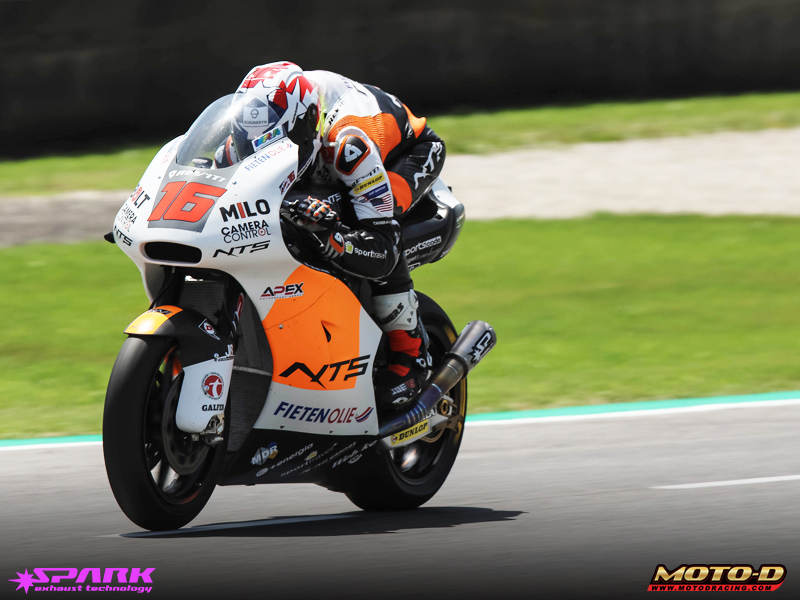 Mattia Pasini makes a thrilling Pole on Saturday at Mugello but Sunday's victory fades away 8 laps before the end. 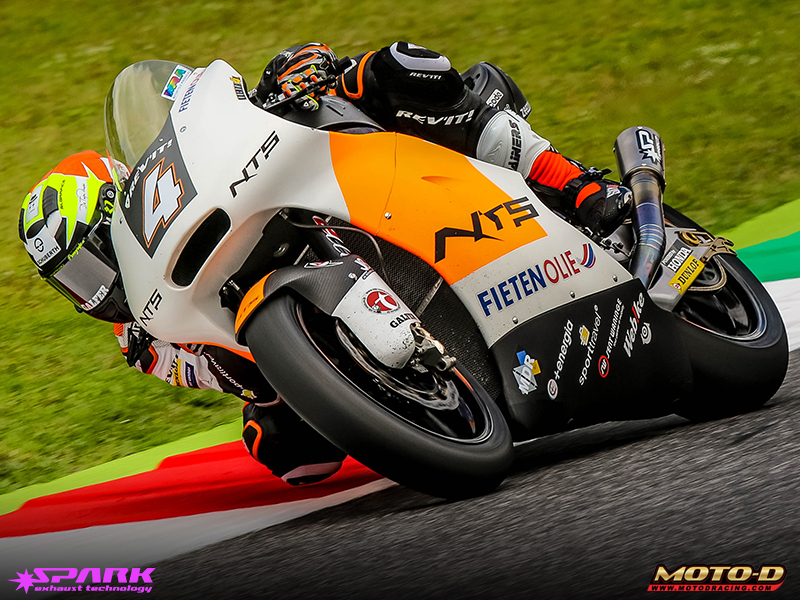 An almost perfect weekend for Team Italtrans at the Italian Moto2 round in Mugello. Great expectations for Mattia Pasini's fans as he won last years race. 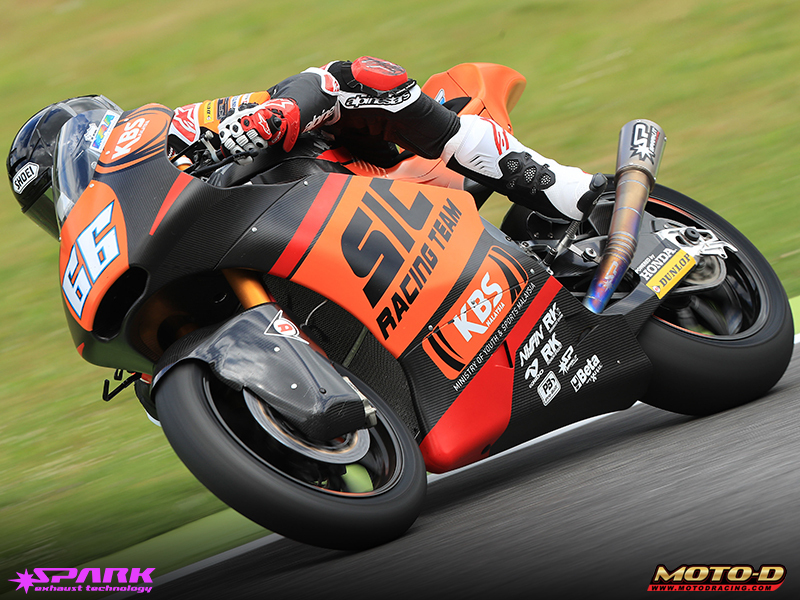 On Saturday he registers a 1'51.575 during qualifying, and conquers Pole Position for Sunday. 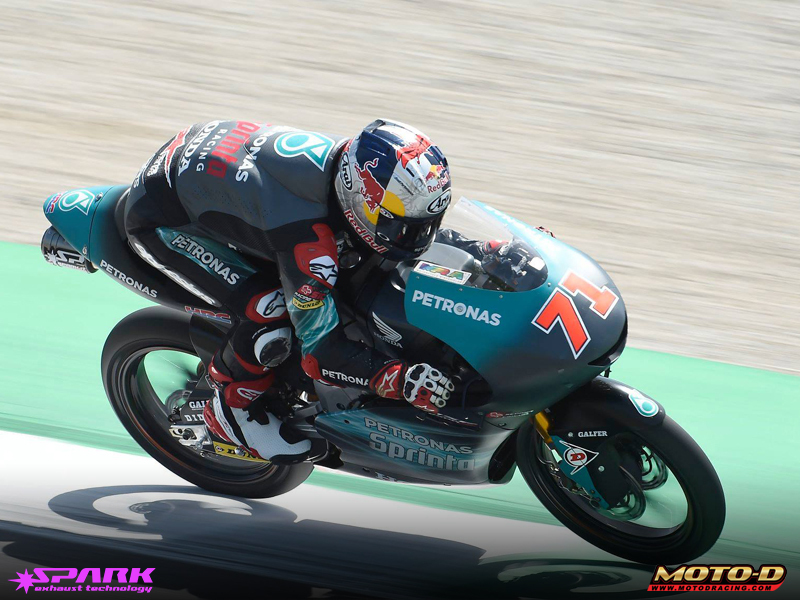 The start from first position was not so perfect, he finds himself 5th at the first lap but after few corners, he climbs back into the lead, riding about half a second faster than his opponents. The desire to do well, to push harder, causes a small mistake and makes him lowside. He gets up but then is forced to return to the pits ending a weekend full of high expectations. 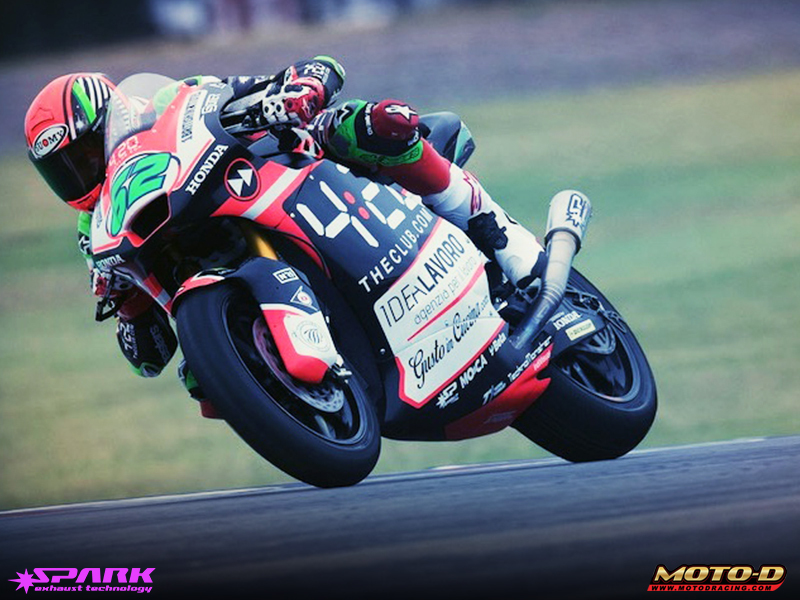 On the Tuscan circuit, comes the best results for Spark in Moto2 World Championship through Andrea Locatelli. After unlucky qualifying he's forced to start from the 6th position on the grid but with a very high pace he registers the 4th top speed and recovers 9 positions crossing the finish line in 8th place. The two NTS RW Racing GP Team riders Joe Roberts and Steven Odendaal get their first points in the World Championship after a hard battle between team-mates. 14th position for the American rider Roberts and 15th for the South African Odendaal. Stefano Manzi for Team Forward Racing does not finish the race because of a crash during lap 11 while he was fighting for the Top 10. Eric Granado must deal with a sharp pain in his left shoulder throughout the weekend and concludes his race in 19th position. Niki Tuuli (17th) fights for the points, at his second appointment in Moto2 with the Sic Racing team he's determined to gain experience for the next races. 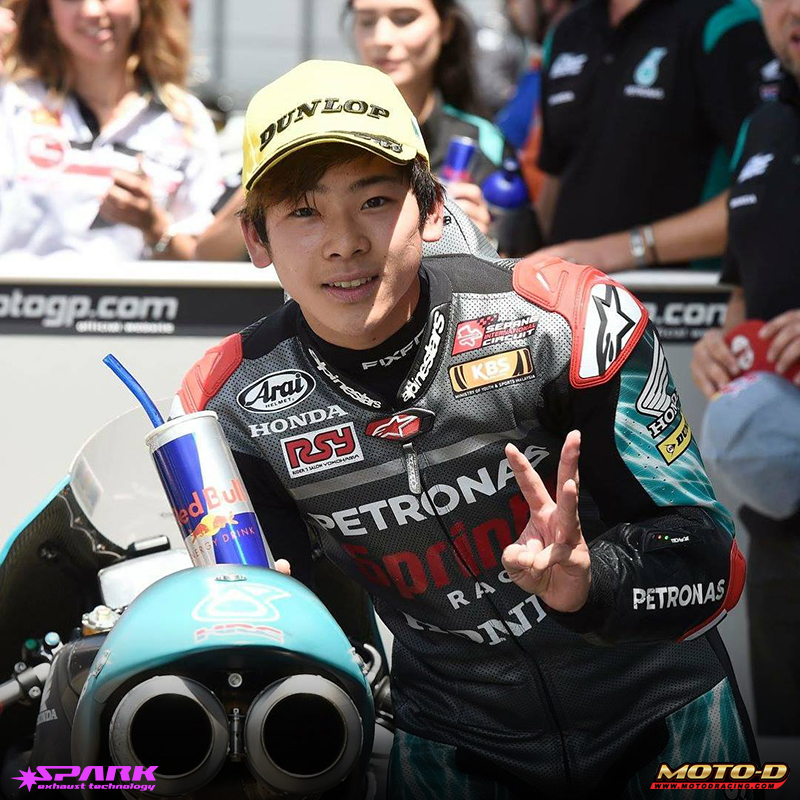 Ayumu Sasaki - PETRONAS Sprinta Racing Team - qualifies for the front row. 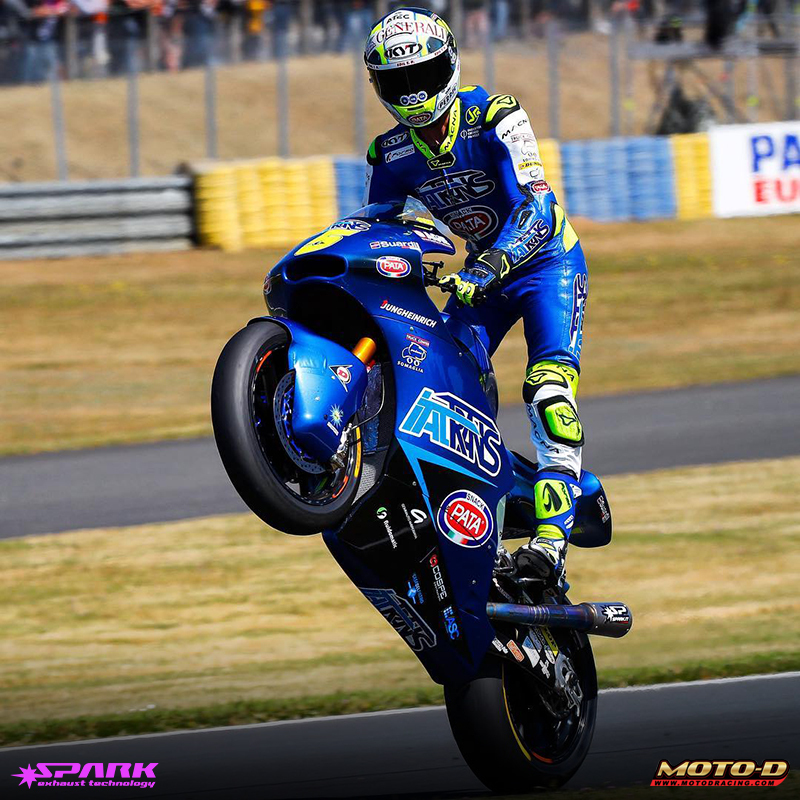 On Sunday he starts from the 3rd position on the grid. However, a pain in his foot after a crash during warm up does not allow him to express himself at his best and concludes his race in 16th place. Adam Norrodin starts from 8th position and immediately takes the 6th after the start, however he crashes at turn3 after a violent high-side. The World Championship will be back in 2 weeks on Montmelò circuit, Barcelona. Spark Italy Exhaust Technologies is the child of Vecchi SRL a company certified ISO 9001:2008 and specialized in the production of high performance exhaust systems for more than 40 years. Exclusively distributed in North America by MOTO-D.